Yep, that is my distal esophagus. As people who have been following this blog will know, I was checked into the hospital earlier this month due to blood loss caused by a group of ulcers in my esophagus. I was suffering from extreme anemia at the time and the doctors were surprised that I could still walk around without fainting. I was hospitalized overnight, received multiple blood transfusions, and was checked out with orders for a new regiment consisting of a temporary liquid diet, iron supplements, and acid reducers. The bad news is that I will soon be receiving hospital bills. I do not yet know the full amount, but the billing staff in the hospital told me that it will be between $700 – $3,000. That’s a tall order for a graduate student, and I have been applying for part time work and looking for other ways to cover this medical expense. Originally, I had no plans to ask for donations on this website. But, when I thought about how apologetic websites often ask for money to cover bogus outreach missions that help nobody, and how a fundraiser here could go directly towards a legitimate medical expense, I thought that it wouldn’t be so bad to set up a temporary donation page on this blog. I do contribute a lot of time and energy towards making this site a comprehensive educational resource. If you have found Κέλσος to be helpful and/or interesting, and if it is within your means (please do not donate if you are as broke as I am), voluntary donations are now welcome on a temporary Medical Donations page in the top menu. Donations can be made via PayPal. Any help is greatly appreciated, but likewise this blog is entirely free to anyone who wishes to read it. I will only keep the page up until my hospital bills have been covered. I wonder what the line is from Vegas on the Peters/Ferguson matchup? I think I’ll take the ‘over’ and lay the points, remembering that the DJEM interview went over 2 hours long. The quick KO… who knows? MWF, glad to hear that you are starting to feel better at least. I trust that you’ll make out ok, besides all of America is strung out on credit so don’t feel like you are alone here. ps. My lawyer will be contacting you shortly about the action I’m bringing against you for mental anguish & distress (that pic of your esoph of course). pss. This sound familiar to you? Woo-hoo, I scored an excellent narrator! 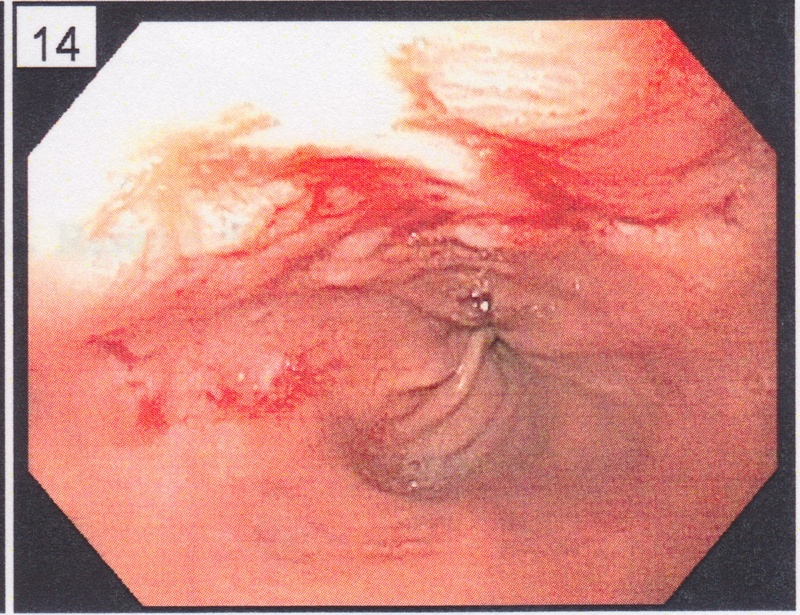 Ha, sorry about any trauma caused by the endoscopy photo. I’m just glad they found the problem without having to do a colonoscopy. A big thanks to everyone who has donated! The blog has raised $300 already towards the expenses. I greatly appreciate the support from readers!